Wetlands America Trust (WAT) recently elected Gary Butler one of its newest trustees. 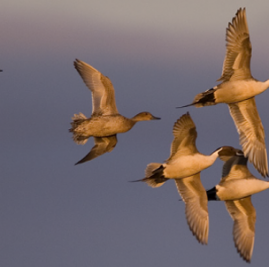 The WAT board is the land trust arm of Ducks Unlimited (DU) – a world leader in waterfowl and wetlands conservation. WAT oversees DU’s endowment and land holdings, including conservation easements. Not only has WAT been successful with this charge, the trustees have individually taken up the mantle to introduce DU and its conservation mission to their friends, family and colleagues. Butler, of Sarasota, Fla., serves as the senior trustee of the Gary C. Butler Charitable Family Foundation. Prior to his current position, he was the CEO and President of Automatic Data Processing, a position he held until November 2011. He received a bachelor of industrial engineering degree from the Georgia Institute of Technology in 1968 and an MBA from the University of Georgia in 1970. He served on the boards of ADP, Liberty Mutual Group, DeVry Inc., CIT Group, Convergys Corporation and CareerBuilder. For more information about DU and WAT, visit www.ducks.org.